The Tropic Cinema opened it's doors in the spring of 2004, thanks to the generous donors, a phalanx of volunteers and the leadership of qualified film buffs. There are 4 screens in the house offering first run movies, as well as regular special screenings of classics, locally shot films and during Oscar Season, nominated entries are screened. The Tropic often links its programming to local groups and events. For Gay Pride Week, "Wilde" has been shown, the film biography of the great Oscar Wilde. During the Hemingway Days Festival "The Killers" has been shown, an adaptation of the story by Ernest Hemingway; and for Reef Relief Awareness Week, Cecil B. DeMille's "Reap the Wild Wind" has been viewed, a classic filmed in Key West in 1942. Even the local Bubba Boxing Tournament has been honored with a showing of the indie charmer "Girlfight". There is a large lobby with a concession stand offering everything from fresh made popcorn to champagne, and everything in between. Each of the four theatres offers plush seating, drink holders and patrons are invariably respectful of each-others right to enjoy the movie without interruption... a real treat! The Annual Key West Film Festival is based at The Tropic and has drawn such luminaries as John Waters, Mariel Hemingway and Terry George who directed "Hotel Ruwanda". 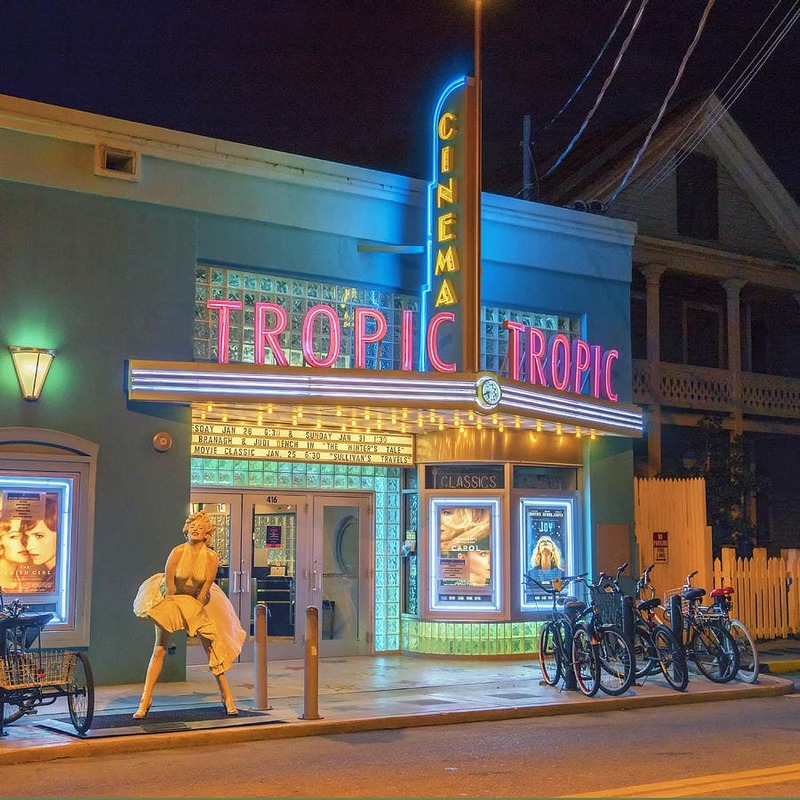 The Tropic offers an opportunity for residents, and visitors in the Southernmost City to enjoy movies that are more often associated with the hubs of sophisticated culture!